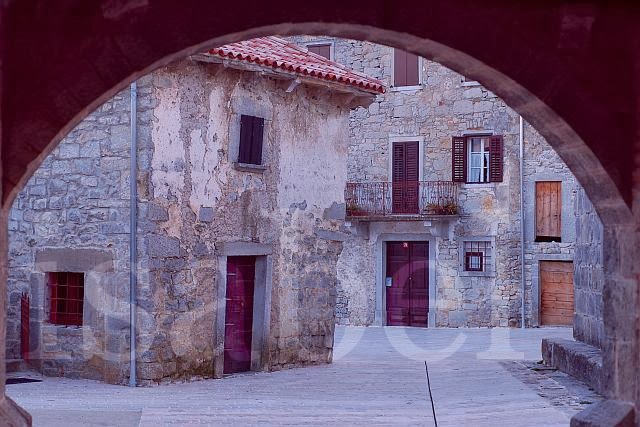 The streets in Gračišće have no name. 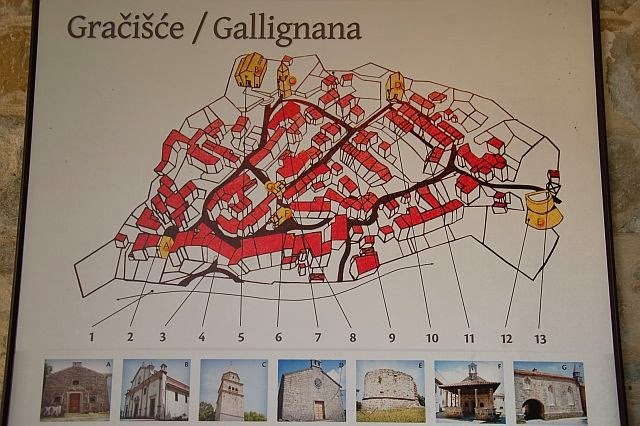 Yes, the village is that small. So how do addresses work, you ask? Well, each house has a number. The village priest’s house is number 1. Numbers then move consecutively clockwise. More or less consecutively, not always logically. Some houses have a small number plate on their facades, many don’t. There’s one street in the village which has an unofficial name, called ‘Putok’ which means ‘small stream’. I asked why it’s called ‘small stream’ and was told because when it rains the road becomes a small stream. Which reminded me of monsoon time in India. 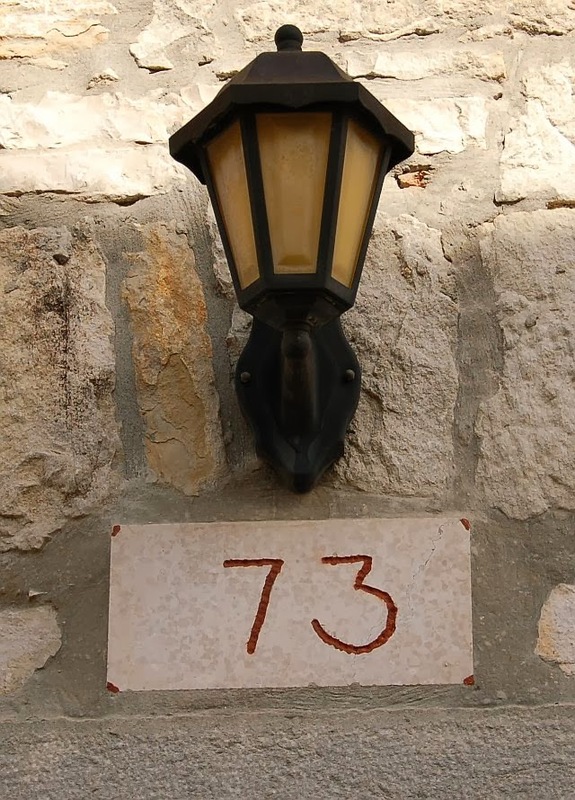 Letters are addressed to Gračišće followed by the house number, then the village postal code and the name of the village again. In a village where the streets have no name, it’s as simple or potentially confusing as that.